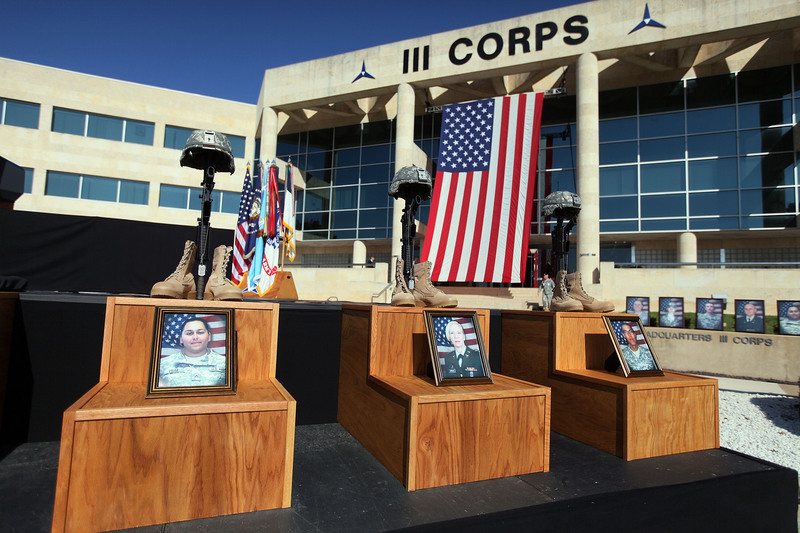 On November 5, 2009, Major Nidal Malik Hasan opened fire on his fellow soldiers at the Fort Hood Army base, killing 13 and injuring 30. His long-awaited trial finally begins on Tuesday. If convicted, he faces the death penalty. The trial will be unusual for several reasons: First, it will be a military trial, which means instead of a jury, Hasan faces a panel of 13 senior Army officers. In addition, Hasan will be representing himself, after dismissing multiple defense attorneys and waiving his right to counsel. This decision makes him the only defendant in modern times to represent himself in a military capital-punishment case. How will he defend himself? That remains to be seen. Hasan has previously argued that his actions were motivated by his desire to protect Muslims and the Taliban in Afghanistan from U.S. soldiers. The judge presiding over Hasan's trial has already rejected that defense, holding that as a uniformed solider in the U.S. Army, Hasan had no justification to kill other U.S. soldiers. It is difficult to predict how Hasan will behave in the courtroom, but it is unlikely he will be apologetic. In a statement made to Fox, Hasan apologized for having served in the U.S. military, which he said is "waging war on the Muslim religion," and he also said he intends to renounce his U.S. citizenship. The prosecution seems to be working hard to ensure a death penalty ruling, spending more than $5 million on the case. However, even if Hasan does face a death penalty conviction, the possibility of it being overturned is high. Although there have been 16 military death penalty convictions since 1984, 11 of those sentences have been overturned, and the other five service convicts remain on death row. In addition, the presiding U.S. president is required to approve the execution before it can take place. Victims and their families have criticized the Army for not providing them with combat-related medical benefits or Purple Hearts following the shooting. In particular, Sergeant Lunsford said the Army reduced his pay while he was getting treatment in a military post-traumatic stress disorder program, and refused to fund an operation needed to remove a bullet still lodged in his back.